My god, where do I even begin with this album. I guess disappointing but expected, would be the best way for me to describe my feelings about Eminem’s latest, Revival. Outside of Recovery there hasn’t been a recent project of his that I’ve given more than a couple of spins, and sadly Revival will be added right to that list. I’ve hated the new direction of his sound and its seemingly increasing march towards pop anthems, and instead of recognizing the irony of his career progression he’s only doubled down. 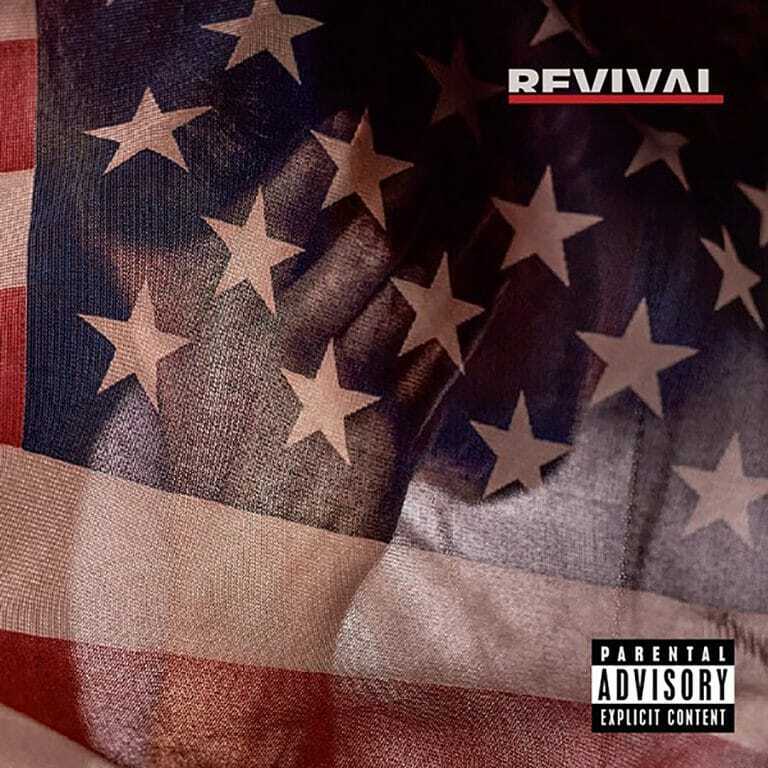 When he started out he was the antithesis of everything that was pop stardom but looking at the tracklisting of Revival you wouldn’t be able to tell. Boasting features from Beyonce, Kehlani, P!nk, Skylar Grey (of course), and even Ed Sheeran (!? ), it looks like an album from Macklemore not Slim Shady. In fact, this new ‘woke’ version of Eminem isn’t too far from making his own version of “Same Love.” Sure he’s always taken jabs at the establishment, and sure I’m all for career progression but it’s sooo blunt and on the nose here you can’t help but roll your eyes at his message. And in this case regression would be a welcome thing. He still has some bars and witty lines, but his flow sounds as bad as it’s ever been, the production is terrible, and he no longer has the ‘bite’ to his music. I don’t know what happened to the Slim Shady who could point out society’s absurdities with nonchalant ease or rip apart hard rap beats like no other, but going off of this album, that guy is all but gone. I have to go back and listen to his old music just to get this bad taste out of my mouth. Have you heard Revival? What’d you think about it? Is this the worst album he’s ever put out? Are you a fan of this new ‘woke’ Eminem? Let me know in the comments below and be sure to leave your own ratings and reactions to the album. I don't know what happened to the Slim Shady who could point out society's absurdities with nonchalant ease or rip apart hard rap beats like no other, but going off of this album, that guy is all but gone. I have to go back and listen to his old music just to get this bad taste out of my mouth.